We do All Type of Concrete Work. Including Sidewalk, Curb and Driveways. We remove all city violations. 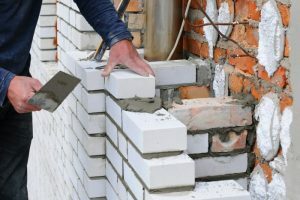 We Specialize in All type of Brick Work, Brick Pointing, Power Wash, Cultured Stone, Foundation Work. 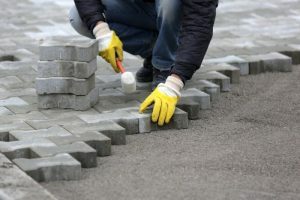 We Do All Type of Pavers, Interlocking Pavers For Patios Walks and Steps, Interlocking Pavers For Driveways and Floors. CALL US AT 718-980-8580 FOR A FREE QUOTE. We Offer 10% discount for our New Clients and Returning Clients. Family owned and operated, NY Concrete Contractors has over 67 employees and together they have over 200 years of combined experience. We have grown in the community since 2001 thanks to our dedicated customer’s word of mouth. Call us today for a free estimate! 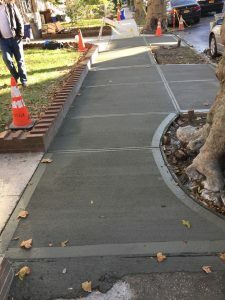 NY Concrete strives hard to provide excellent service. We have hundreds of happy satisfied clients. We have grown in the community since 2001 thanks to our dedicated customer’s word of mouth. Call us today for a free estimate! Family owned and operated, NY Concrete Contractors has over 67 employees and together they have over 200 years of combined experience. We Maintain Open Communication With Our Clients To Ensure Satisfaction That Meet Their Individual Needs. I had water going in my basement so i called 3-4 companies and NY Concrete was one of them. They gave me a Free Estimate and their prices were very reasonable. They did an absolutely amazing job and finished the job before the promised time.